Following the UK broadcast of the 2016 Doctor Who Christmas Special, The Return of Doctor Mysterio, fans were treated to a Series 10 teaser trailer, now also available online. The trailer serves as an introduction to the Doctor’s upcoming companion, Bill, who serves chips for a living and knows the Doctor as a university lecturer. We also get a glimpse at some of the adventures the Doctor and Bill will be undertaking together – including a run-in with the Daleks – and at their fellow adventurer in time and space, Matt Lucas’ Nardole. The trailer is likely to be shown after tonight’s broadcast of the Christmas Special on ABC, but can also be viewed below. The DWCA is pleased to announce the election results from its recent Annual General Meeting, held on Sunday 14 August at Club Burwood, Sydney. Current President Lauren Davis and Secretary Roger Reynolds were the only ones to run for their respective positions; they were thus elected unopposed. Two nominations had been received for the position of Treasurer, but one nominee withdrew their nomination prior to the election. The sole remaining nominee, Brad Harrison, was thus elected unopposed. Finally, current Vice President Tony Cooke announced his resignation from the position of VP and from the committee, after several decades of service. As no nominations for this role were received prior to the election, former Treasurer Jon Andersen was nominated for the position and elected unopposed. Congratulations to Jon on his new role and to Brad for joining the committee. Good luck to you both! The meeting also saw the DWCA committee propose an amendment to Section 15.1 of the club constitution, titled ‘Election of Office Bearers’, and the reflection of this amendment in Schedule 1 to the club constitution. This amendment was reworded by the attending members on the day, in order to eliminate ambiguity, and voted in unanimously. Once the amendment has been accepted by the Office of Fair Trading, the DWCA website will be updated accordingly. The DWCA would like to thank those members who have nominated themselves for a position on the club committee, to be officially elected at our upcoming AGM on Sunday 14 August. As the positions of President and Secretary received only 1 nomination each, each candidate will be running unopposed. As per Section 15.1 (8) of the DWCA Constitution, “Due to the highly sensitive nature of the position of Club Treasurer, this role is nominated as per other Office bearers but is elected solely by the committee”. Thus, there will not be a ballot for the position of Treasurer, the successful candidate being announced at the AGM. No nominations were received for the position of Vice President and thus the position is declared unfilled. As per Section 15.1 (4) of the DWCA Constitution, “further nominations are to be received at the annual general meeting”. As previously announced, postal voting is still open for the proposed amendment to Section 15.1 of the club constitution, titled ‘Election of Office Bearers’, and the reflection of this amendment in Schedule 1 to the club constitution. (1) Candidates standing for election as an Office Bearer must be current Club members, that membership being held for a minimum continuous period of 5 years prior to the election. (1) Candidates standing for election as an Office Bearer must be current Club members, that membership being held for a minimum period of 5 years and at least 1 year immediately prior to the election. (a) A nominee for an Office Bearer position must have been a member of the Club for a minimum continuous period of five (5) years, and be endorsed by two (2) members of the Club, in accordance with Clause 15.1 of The Constitution. (a) A nominee for an Office Bearer position must have been a member of the Club for a minimum period of 5 years and at least 1 year immediately prior to the election, and be endorsed by two (2) members of the Club, in accordance with Clause 15.1 of The Constitution. I <the undersigned> of <address>, being a member of The Doctor Who Club Of Australia for the last five (5) years, accept the nomination of the two (2) signatories below for the position of <President/Vice President/Treasurer/Secretary>. I <the undersigned> of <address>, having been a member of The Doctor Who Club of Australia for the length of time stipulated in Clause 15.1 of the Constitution, accept the nomination of the two (2) signatories below for the position of <President/Vice President/Treasurer/Secretary>. 16 years of age or over. A clear statement indicating whether you are FOR or AGAINST the proposed amendment and its reflection in Schedule 1. A vote in respect of only one membership number per envelope is allowed. AGENDA: President’s Report; Treasurer’s Report; Constitutional Amendments; and Election of Office Bearers. Any candidate standing for election as an Office Bearer (President, Vice President, Secretary or Treasurer) must be a current DWCA member who has held membership for a minimum continuous period of five years. Additionally, they should be able to attend regular committee meetings held in Sydney and demonstrate an ongoing commitment to the club. Rules and procedures for the election of Office Bearers can be found in the document Schedule 1 to the Doctor Who Club Australia Constitution, which is attached to the DWCA constitution. Attendees will consider and vote on a proposed amendment to Section 15.1 of the club constitution, titled ‘Election of Office Bearers’, and the reflection of this amendment in Schedule 1 to the club constitution. Dig up Data Extract #231 – our special archaeology-themed issue! The latest issue of the DWCA’s member-exclusive magazine, Data Extract, has been released. 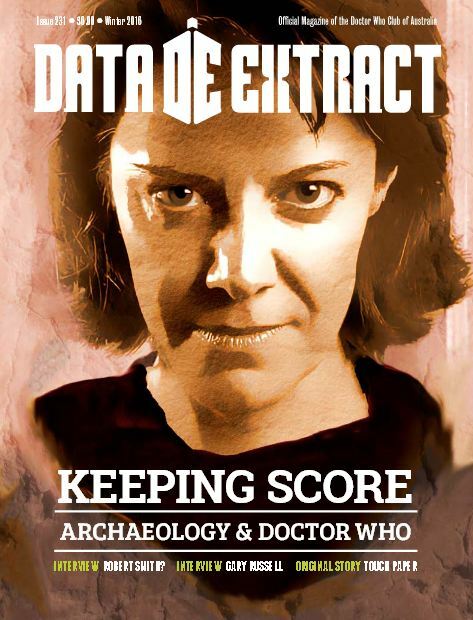 And it’s a rather special issue, answering everything you wanted to know about archaeology in Doctor Who. Want to know how people reacted to the return of the Doctor’s wife in The Husbands of River Song? Check out A Little Perspective to hear the thoughts of three different fans. What about how River is faring in her new spin-off series from Big Finish Productions? Flick to the audio reviews section of Forum Square. Or perhaps you’re a fan of River’s predecessor, Bernice Summerfield. In our interview with writer Gary Russell, we hear all about how Gary was given the task of bringing Benny and the Twelfth Doctor together in his new book ‘Big Bang Generation’, set right here in Australia! And if that’s not enough for you, our feature article covers pretty much the entire history of archaeology in Doctor Who – from The Tomb of the Cybermen, to The Stones of Blood, to Battlefield and beyond. It’s your comprehensive guide to the who, what, where and when of the Doctor and co.’s most memorable digs – and it’s written by a real archaeologist! If you’re a DWCA member, your issue should be arriving some time this week. If you’re not a member, why not join now? You’ll get a free subscription to Data Extract as part of your membership, as well as a whole host of other benefits. 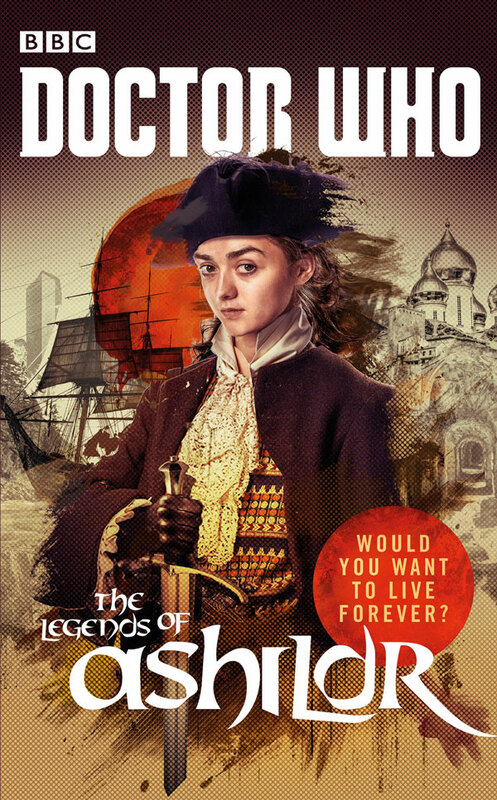 After discussing short story collection The Legends of Ashildr at our last meeting, the DWCA Book Club has selected its first full-length novel – In the Blood. In the Blood is a newly released book by Jenny T Colgan, one of the four authors of Ashildr. Featuring the popular pairing of the Tenth Doctor and Donna, the text sees the human race driven mad by social media – which is not so far removed from real life if you ask me! The club will be reading the book over the next two months, with the final discussion set to take place at our Newtown Tavern night on Friday 5 August. Optional, spoiler-free discussion will take place on Friday 1 July, to cater for those who may not have finished reading the book. 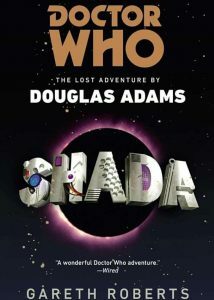 The club will also be accepting written reviews of this book and The Legends of Ashildr, the best of which will be published in our magazine, Data Extract. If you’d like to share your review with us, please send it to fsq@doctorwhoaustralia.org. Join the DWCA at Sydney Supanova and get three months free! The Doctor Who Club of Australia is excited to be exhibiting at Sydney Supanova from 17-19 June. And this year, we’ve got a very special offer for new memberships purchased at the event. Sign up for a minimum one-year membership at our stand (Booth #1662), and you’ll get an extra three months absolutely free. That means one extra issue of our print fanzine, Data Extract; one extra issue of our e-zine, The Nethersphere; and discounted entry to as many club events as you can attend during that time! 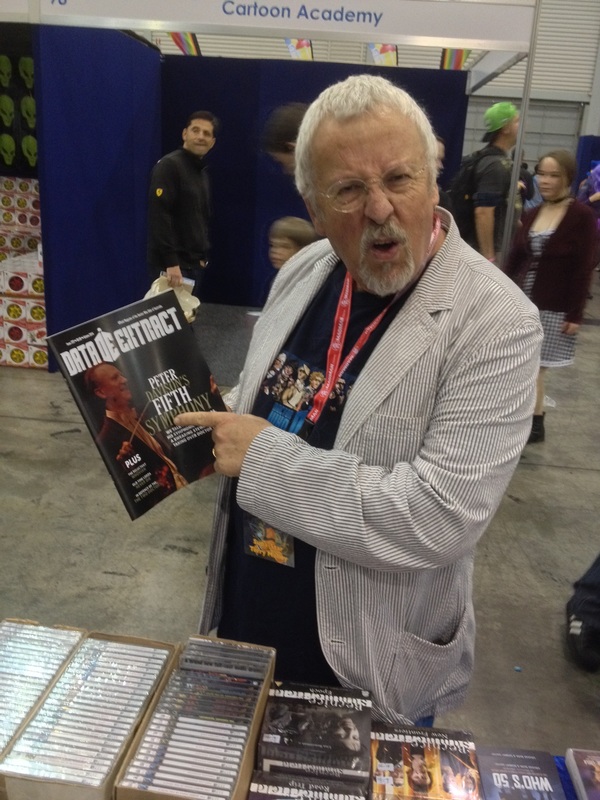 Davros actor Terry Molloy with a copy of Data Extract magazine at Sydney Supanova 2014. Memberships are available for one year, two years or five years, with special Concession and Family rates available. So if you’ve been thinking of joining the club, now’s the perfect time! Please Note: this offer does not apply to membership renewals. 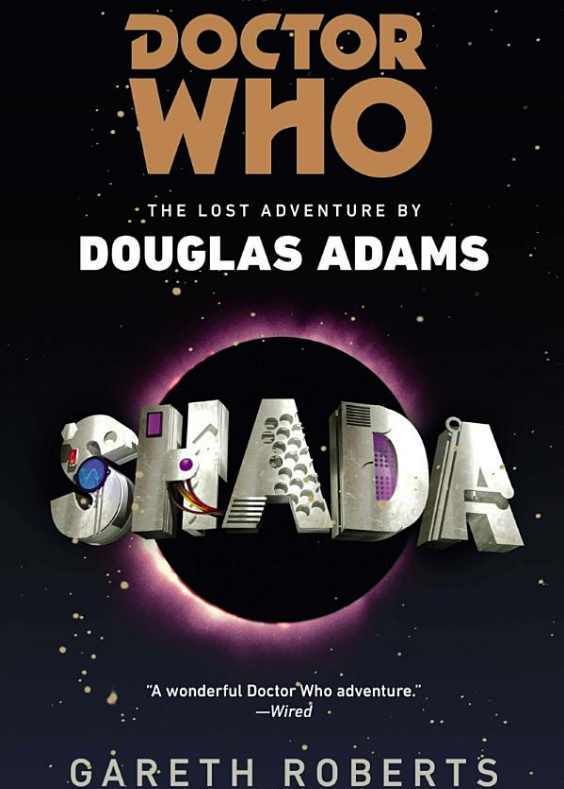 On Friday 29 April, the DWCA held its first ever book club meeting – a gathering which gave the club’s bibliophiles a chance to get together and share their favourite Doctor Who stories and authors. The evening ended with attendees selecting the first book that they would like to read and discuss as a group – The Legends of Ashildr. So what happens now? Well, members of the book club plan to meet again in June in order to discuss and critique the book (the exact date and venue is yet to be finalised, but it will be somewhere in Sydney). But that doesn’t mean others can’t play along at home – in fact, the DWCA encourages all its book-loving members to get their hands on a copy and read along with us. The DWCA will also be accepting reviews of the book, the best of which will be published in the club magazine, Data Extract. If you’d like to share your review with us, please send it to fsq@doctorwhoaustralia.org. It’s been a long wait, but following the departure of Jenna Coleman, the Doctor’s newest companion has been announced. And it’s none other than actor and singer Pearl Mackie. The news was revealed during the half-time interval of the FA Cup Semi-Final on 23 April at 6:15pm GMT (24 April 3:15am AEST). Speculation went into overdrive in the 24 hours or so leading up to the announcement, with Mackie hotly tipped to take on the role. But just who is Pearl Mackie? 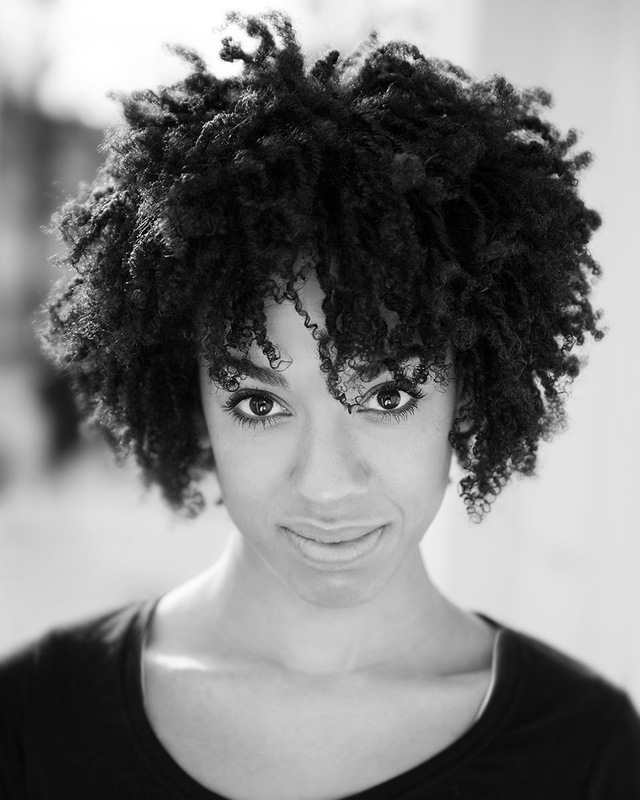 Hailing from South London, she trained as an actor at Bristol Old Vic Theatre School, graduating in 2010. She is currently performing in the National Theatre’s West End production of The Curious Incident of the Dog in the Night Time, which was visited by Peter Capaldi shortly before the announcement was made. In a first for a new companion, we’ve been given a glimpse of what her character will be like in a specially shot trailer for Series 10, which introduces the character as “Bill”. Facing off against the Daleks, she comes across as smart, funny, full of attitude and more than capable of asking the right questions. Of course there’ll be plenty more to learn about Bill when she arrives on our screens proper in 2017.